Greetings dear readers. If you are reading this, then you are probably interested in the music of Django Reinhardt, or perhaps, interested in Romani culture. This article is about Sinti culture, Sinti language, and the origin of the name Django. Before I begin, I would like to stress that this is, in no way, a scholarly article. This is strictly an account of my personal experiences. Furthermore, I am not a linguist nor do I consider myself a full-on expert on Gypsy culture; I can only talk about what I have personally observed over the years. Many scholarly articles/books have been written on this subject, and I will leave that to the true experts! I would certainly welcome any feedback from academics/scholars. Furthermore, I would like to mention that as far as the Sinti are concerned, their culture and language tend to be highly secretive; that is the way many of them like it, and want it. While I somewhat understand their position, I don’t necessarily agree with it, but I will do my best to respect it. As such, there are certain things about their language and culture that I will purposely not reveal. There is a fair amount of information about Sinti culture and language on the internet, if one speaks French or German. Unfortunately, a lot of the information is not always accurate, or at best, incomplete, and therefore confusing. The purpose of this article is to make things as clear as possible. All this, without revealing too much; indeed, it will be a fine line between just enough, and too much! This article is specifically about my personal encounters with the Sinti, the Gypsies of western Europe. I have been in somewhat close contact with Sinti from Germany, France, Belgium, Italy, Holland for many years now, so I would dare say that, while I will never claim to be an expert on Gypsy culture, I do have at least some level of understanding. There are many Gypsy tribes out there, so please keep in mind that I am only dealing with the Sinti here. I will talk more about it later. Bear with me, this will be a long article; shedding light on some of the myths takes a lot of explaining and cannot be done in a short article! I also want to make it clear that I do not consider myself fully fluent in Romanes (as of July 2014); I know how the language works, I can express myself in certain contexts but due to the ambiguous nature of the language, which I will later explain, I simply do not dare say that I am fully fluent. I can understand written Romanes fairly well (which happens usually on social media), but spoken Romanes is usually too fast for me. However, whenever I’ve asked people to slow down their speech and to articulate each word clearly, I was able to understand. I still have a long way to go. I would like to start by talking a little bit about myself, who I am, and where I come from. It’s going to be a long detour, and it may seem that it has nothing to do with the actual topic at hand, but it has everything to do with it; my upbringing is what allowed me to learn Gypsy Jazz and Romanes! 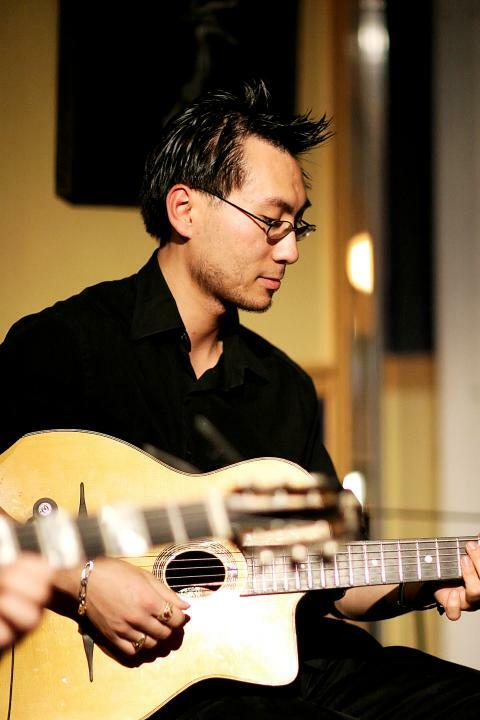 For those who do not know me, my name is Denis Chang, and I am a Gypsy Jazz guitarist. I was born in the French part of Canada (Montreal, Quebec) to Taiwanese parents. Oddly enough, my father, though born in Taiwan, did not cross the Pacific ocean to reach Canada; he came from Europe; more specifically, Switzerland, if I am not mistaken. Unfortunately, my father traveled a lot in my youth and I did not get to know him too well, and he passed away early on in my life, in Paris, France. Whatever I did know of my father, was that he was deeply fascinated with Europe and he was quite the Francophile. He was born in Taiwan, at a time when it was occupied by Japan. He grew up speaking three languages: Taiwanese, Japanese, and Mandarin Chinese. His fascination with Europe brought him to Switzerland. By the time I was born, he had also mastered English (with a British accent) and French (with a French accent); he also had a somewhat working knowledge of German and Russian. He was a lifelong academic, scholar, and activist for human rights in Taiwan. How does this relate to this article? Patience I say! For those who do not know much about Taiwan, it is a little island south of Japan, and east of China. For many centuries, Taiwan has been occupied by various forces (Dutch, Spanish, various ancient Chinese kingdoms, Japan). Occupation in itself is not necessarily a problem. To make a long story short, the problem is when Communist China defeated the ruling Chinese Kuomintang party (KMT), forcing the latter to flee to Taiwan, just as Japan gave up rule of Taiwan due to the outcome of WW II. The KMT fled to Taiwan with Chinese national treasures, with hopes to rebuild their strengths and eventually reclaim mainland China. In their eyes, they were the "real" China, and, therefore, by occupying the island known as Taiwan, they wanted the whole world to recognize Taiwan as being the real China. I will not get into this debate in this article, as it is quite complex. The reason, I am bringing this up, is that the KMT declared martial law in Taiwan. People were forced to identify as Chinese and to assimilate to the KMT’s imposed culture. Anyone who disagreed with the dictatorship was subject to severe punishment. As kids, my parents and many Taiwanese were beaten in school for simply speaking Taiwanese. The KMT did everything they could, by any means necessary, to destroy the Taiwanese identity. Simply for not agreeing with the government could mean certain punishment, which could include death. My family suffered greatly because of this, and it is the reason why my father fled. To this day, although the dictatorship period has ended, the KMT is still one of the leading parties (rumored to be the wealthiest democratic party in the world thanks to the riches they brought along with them from China). The situation in Taiwan is still ambiguous and tense; with China pointing missiles at Taiwan, and the KMT hoping to somehow reunite with China under their own terms, people have been living under the status-quo, which basically boils down to: China will not invade Taiwan so long as the Taiwanese will not officially say that they are independent of China. While there is now a revival movement of the Taiwanese language and culture; the KMT’s damage to the Taiwanese identity was devastating. A lot of people in the capital do not care too much about the Taiwanese language, and prefer to use the official KMT imposed language: Mandarin. Even those who speak Taiwanese seem to prefer to use Mandarin; after all it feels more natural, thanks to the successful efforts of the KMT. On the other hand, there are those of a much older generation who openly despise all things Chinese and will refuse to speak Mandarin unless there is no other choice. That would be my parents, and many Taiwanese expats living all over the world. Growing up, I was denied the opportunity to learn Mandarin, and my brothers and I were taught to hate all things China. For many years, I did so, without really questioning it. Then I realized how terrible that is. Hatred is a terrible thing to inherit. I will never understand what my parents went through, and while I certainly will not forget their suffering, it is not fair for me to inherit the disdain without having experienced the same kind of suffering. This is not a political declaration on my part, but simply a description of things that have happened in my parents’ country. I also do not mean to disrespect my parents, they did what they felt was right; they are not certainly the only ones with such sentiments. As far as I am concerned, I only wish for people to have the right to speak their mind and to choose their own fate (whatever it may be) without fearing retribution and with as little corruptive influence as possible (preferably none, of course), which unfortunately is still not the case in Taiwan despite its supposed democratic status. Thinking of this has made me realize how similar the Gypsy situation is. For centuries, Gypsies have been persecuted, with WW II being especially devastating. As such, many young Gypsies are taught to hate and/or to not trust the Gadje (the Romani word for non-Gypsies, which can also mean peasants). The persecution still exists today and is a vicious cycle of mistrust and hate. As such, to escape discrimination, some Gypsies feel that it is better to assimilate to their host country’s culture, and to deny/hide their heritage. This can result in loss of language and culture. In France, outside of the French-German border, very few Sinti speak Romanes (the Gypsy language). Indeed, it reminds me of many young Taiwanese, who do not care to investigate their lineage, and who opt to blend in with the KMT’s imposed culture. It is a very sad thing to me. To me, a language is more than words, it is an entire culture and a way of being and thinking. This is especially true with Romanes. I also grew up in a tense area of Canada where French is the official language. These French-Canadians are the Québécois; the people who reside in the province of Quebec, and who are descendants of French settlers. A majority of Québécois do not identify with Canadian culture at all. Though the rest of Canada may not like it, I can definitely understand it; in my travels across Canada, it has always been interesting to see just how different Quebec is; not just in language, but in culture and mentality. With the massive influx of immigration, there is also the multicultural hub that is Montreal (the second largest city in Canada) within the province of Quebec. It is also a very complex situation here. Whether Quebec should become independent of Canada, is not something I care to talk about, but I certainly feel that the local language and culture should be protected; though not necessarily by the means currently employed, which I will not get into. Essentially, many Québécois resent the victory of English Canada at the Battle of the Plains of Abraham, in the 18th century. This victory is what influenced Quebec’s integration into modern Canada. One could then also argue that the natives resent the arrival of European settlers. Yet another vicious cycle, and I will stop here! Again, I make no political declarations; these are merely descriptions of history. Indeed, to me, language and culture are very important. To be clear, it is not about superiority, but about encouraging and embracing diversity. There is a lot of paranoia on both sides and also a lot of ignorance. That seems to be the case wherever there is conflict, be it Quebec- Canada, Taiwan-China, or Gypsies-Gadje. I grew up speaking three languages from an early age. Taiwanese is my first language; French was acquired shortly before school started (my two older brothers were already speaking it). English was acquired from watching American cartoons. I went to school under the French system (from France), so many of my classmates and teachers were European. I basically grew up hearing and learning two kinds of French: Québécois French and French from France. For those who are unaware of the difference between Québécois French and French from France, compare British English to southern USA colloquial English! All these variations in dialects/languages made me very good with pronunciation and intonation. While, I forgot most of everything I learned in school, I distinctly remember learning about Alsace and Lorraine. I don’t know why I remember these two French regions (that once belonged to Germany), but oddly enough, these two regions would become very important to my life when I would begin my Gypsy Jazz journey. Alsace and Lorraine are the two regions in France where a great number of Sinti are settled, and more importantly, where the language and culture is still somewhat preserved. In High School, I was given the opportunity to study German for a number of years. Though I’ve forgotten most of it, enough has remained for it to be of use to me. The Sinti dialect of Romanes borrows heavily from German, and it was one of the ways that I managed to figure out the language. How funny it is, that from an early age, I was being prepared for my Gypsy Jazz journey. My parents raised my brothers and I to be as open-minded about different cultures as possible and to learn from them. I don’t know how my brothers feel, but I personally do not identify as Canadian, Quebecois, or Taiwanese. I am some strange mix of all those cultures and more. Many people have said this about me as well. I am not sure how to put it; it is not a question of superiority either, it is simple the way I am. It is what has allowed me to understand and to see things that most people often overlook, and it is what has allowed me to generally get along with anyone no matter how different their views are from mine. As of 2014, I have been involved with Gypsy Jazz for almost 15 years. In my early Gypsy Jazz years, I still dabbled with other styles of music, it was not until meeting French guitarist (now living in the USA), Stéphane Wrembel, in 2002, that I gradually decided to dedicate myself exclusively to the style. 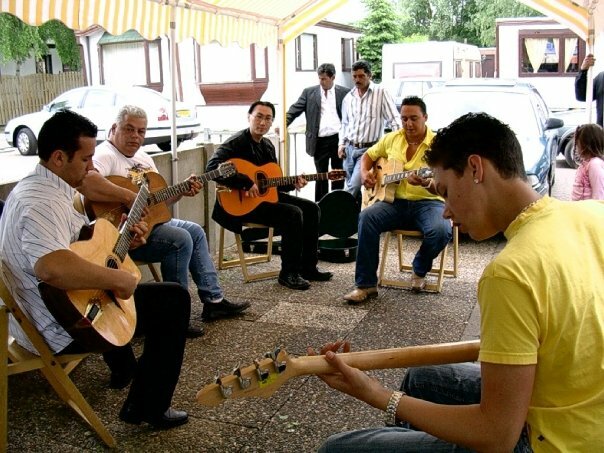 In 2004, I started hanging out with Gypsies in Europe (being able to speak French was a tremendous advantage). 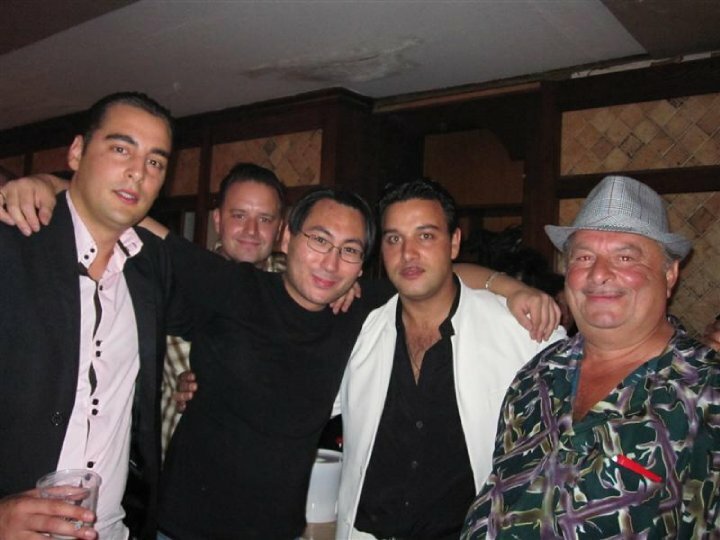 The rest is history; I made friends with more and more people, Gypsies and non-Gypsies alike, and good times were had! Anyone who has Gypsy friends is guaranteed to learn the same words and expressions: mischto (well/good), latches (excellent/well done), schukar (beautiful), latscho diewes (hello/good day), har dszala? (how goes it?/how are you? ), etc. They will most likely also learn bad words, which I will not share here; vulgarity is VERY taboo in Gypsy culture, especially with the older generation. At any rate, few manage to go deeper than these basic words and expressions. To truly understand how the language works is an entirely different matter; that is where many Sinti are much more secretive. As I said earlier on, unfortunately, like some Taiwanese are influenced to hate all things China, and like some Québécois are influenced to hate English speakers, so too are many Gypsies taught to distrust non-Gypsies. This is, of course, a generalization, I would hope and certainly like to believe that these people are a minority. For some Gypsies, the idea of outsiders speaking Romanes is still very taboo. Fortunately, as far as I am concerned, I have not really met any resistance; quite the contrary, many Sinti seem to be happy that I speak it. Perhaps it is because I am of Asian descent (am I the only Asian who speaks Romanes?). In fact, I get asked quite a lot if I am a Gypsy as a result of me singing a lot of Romani songs. I’ve lost count of the number of times I’ve been asked hal tu i Sinto (are you a Gypsy)? The physical traits and my last name should be clear enough, but oh well! I, myself, did not really investigate Romanes until a few years ago, although, by then, I had already compiled a number of expressions, words, and even lyrics to certain songs. Actually, for many years I tried to disassociate myself from the Gypsy aspect of Gypsy Jazz; when I first discovered the music of Django Reinhardt, I had no idea that it had ties to modern Gypsy culture. In fact, to me Django was simply a Gypsy who played guitar and who played great music. Historically, the whole idea of Gypsy Jazz came much later, after Django’s death; Django’s style of playing eventually became a folk music for the Sinti, and that is where the Gypsy aspect started to influence this swinging jazz music. That in itself, is worthy of an entire article of its own, so I will stop here. Since I was a gadjo, I simply wanted to play this jazz music in the style of Eddie Lang, Django Reinhardt, Oscar Alemán, etc. However, as the years went by, I befriended more and more Sinti and my vocabulary kept expanding. I have a really good memory, so whenever anyone taught me anything, I usually remembered it. Whether I wanted it or not, I was becoming more and more familiar with their culture. The Sinti that I know have always been very welcoming and friendly to me; I have always felt very much at home with them. It was not until author Michael Dregni published his book Django: The Life and Music of a Gypsy Legend that I started to seriously investigate the language. In one of the early chapters, Dregni states that Django in Romani means I awake. Now, you must want to know right away: is he right? The quick answer is yes, but a better question to ask would be: does the name Django Reinhardt come from the Romani word for I awake? That is the true question, which we will explore later. You might be interested to know that the author also mentions that German/Polish Gypsy violinist Schnuckenack Reinhardt’s name means glorious music in Romanes. This, I know for a fact, is not true; Schnuckenack comes from two words Schukar (beautiful)and Nack (nose). We first need to understand how the Gypsy language works. Just how did I learn it anyway? This is the reason why I talked about my Taiwanese lineage. Actually for most of my youth, I hated going to Taiwan, because in the capital, Taipei, every day life happens in Mandarin, especially for the younger people. When I speak to them in Taiwanese, people are often stunned, and are then shocked to find out that I do not speak Mandarin. It was not until a few years ago that I started making efforts to learn Mandarin; by doing so, my Taiwanese improved as well, and I started to understand how both languages worked. Believe it or not, this also made learning Romanes a lot easier! Like the Gypsies, I learned to speak my parents’ language strictly orally. For the longest time, I was completely unaware of the origins of many words or about the grammatical structure of the language. To be honest, I still am not an expert, but I’ve learned a lot through studying Mandarin, which shares similar grammatical structures as Taiwanese. For your information, Mandarin and Taiwanese are as mutually intelligible as French and English; you might recognize certain words, but by and large, you will not understand anything. Pronunciation was a big one, for many years, I remember my brother and I completely mispronouncing certain words, but no one ever corrected us, until much later in life. This is especially important as far as Romanes is concerned. Since Romanes is exclusively passed down orally, many Gypsies will hear expressions and words differently, and, therefore, the words will evolve into another, often shortened, form. Before I go on, I would like to, again, remind you readers, that I am specifically dealing with the Sinti here. They are one of the many tribes of Gypsies out there. They are also called Manush; Gypsy Jazz fans are perhaps more familiar with the French spelling Manouche. It is said that the Manush are the Sinti who live in France, but in my experience, the Sinti use both words interchangeably. Actually, to be precise, the word manush is one of the many Romanes words that translate to man. In Romanes, there are many words to express the same thing, and, sometimes, the same word can mean different things! The word sinti is believed by certain experts, to come from Sanskrit. For consistency’s sake, I will no longer use the term Gypsy unless necessary. While we’re at it, some of you may have heard that the term Gypsy is derogatory, and that the correct term should be Roma. Once again, the answer is yes and no. Here we go, yet another detour! As I mentioned before, there are many Gypsy tribes. As far as the Sinti are concerned, there are essentially two groups: the Sinti and the Roma (which includes all other tribes of Gypsies). The Sinti do not like to be called Roma. Once again, it is not necessarily an issue of one culture being superior to the other, but it is a question of making sure that people understand that both cultures are different (keeping in mind that the Roma can be further subdivided into other tribes), even though they share a common ancestry. It is why I talked about my Taiwanese lineage. Many Taiwanese are descended from the largest ethnic group in China, the Han Chinese; yet, most Taiwanese are quick to point out that they are distinctly Taiwanese, and not Chinese, in identity and culture (much to the fury of mainland China; enough so, that thousands of missiles are pointed at Taiwan). A Sinto (singular form of the plural Sinti or Sinte) once asked me what the difference was between China and Taiwan, I simply replied "Roma / Sinti" to which he replied "say no more, I understand perfectly". I told this to another Sinto and he jokingly asked "so who is the Sinti and the Roma, as far as the Chinese and Taiwanese are concerned? "; considering, that the Taiwanese are descended from the Han Chinese, and that the Sinti are descended from the Roma, logic would dictate that the Taiwanese are the Sinti! To this day, there is a lot of confusion about this, and many Sinti continue to be categorized as Roma, much to their frustration; imagine constantly calling the descendent of an early American settler, British! Based on my personal research and observations (and I openly admit that I did not really investigate too much, so I welcome anyone more knowledgeable to chime in), there appears to be a lot more information on Roma culture out there than there is on Sinti culture. Roma also appear to be better represented on a global scale than the Sinti. They even have an international Roma day on April 8 (coincidentally my birthday – send me Argentines heavy gauge strings!!! ); I am not sure if the majority of Sinti are aware of this. It is for the Roma for whom the term Gypsy is derogatory. They prefer to be called Roma or Romani. For most Sinti, the English word Gypsy is OK and they use it all the time. The German equivalent of Gypsy is Zigeuner; oddly enough, that word is considered derogatory. Perhaps it it is because Gypsyis an English word, and, therefore, does not have the same connotation as its German counterpart, considering recent historical events. Some Sinti do not mind being called Romani (also spelled Romany) either, but Roma is generally a big no-no. Oddly enough, Roma just happens to be the shortened form of Romani. Romani is also the word used to designate all Gypsy tribes, and it is also the word used to designate their language. In the actual Gypsy language, the word is Romanes. Grammatically, words that end in -es have an adverb-like quality to them; consider the following words: kokeres (alone), latches (well done), ferleidiges (annoying/bothersome/boring), valschtikes (French), ingeletikes (English), gatschekenes (German). Literally, these adverb-like words translate to "in the way of/in the style of"; when one says he speaks French in Romanes, he says that he "speaks in the way of the French" (valschtikes). Therefore, the same word to designate a language can also be used to designate "in the style of"; for example, kelel li romanes (she dances in the Gypsy way). These words that end in -es can be transformed into adjectives by changing the ending to –o, -i, or -e depending on gender or plural form. That was a nice little detour! So now I will commit myself to the term Sinti for the remainder of the article, as much as possible. Basically, as I was saying, the Sinti learn Romanes orally from their parents, the same way, that my brothers and I learned Taiwanese from our parents. Over the years, we have butchered a lot of words, and we have notoriously butchered the grammar, but my parents never corrected us because they understood us. When I realized that this was also the situation for many Sinti, the mystery behind their language was suddenly very clear to me! As I mentioned, anyone who hangs out with Sinti are bound to learn the most common words and phrases. Since I have many Sinti friends from various countries, I learned a bit more than most outsiders tend to learn. Some have even been nice enough to teach me a lot, and to teach me lyrics to songs that I liked. In fact, it is mainly through the Sinti songs that I learned to decipher the language. Speaking different languages, and growing up in a very multicultural environment has also made it significantly easier for me to figure out Romanes. It also helps that I speak French and have a basic grasp of German. Scholars, academics, and other people interested in Romanes have also shared certain documents with me that have helped as well. Nonetheless, it is especially thanks to my Sinti friends, who trusted me enough, that I was able to make the most progress; nothing beats immersion! Nonetheless, I stress, once more, that I do not dare say that I am fluent; I am simply able to have the most basic of conversations. I do hope that I will continue to improve. These are just one example per host language, but any other phonetic variation will work as well, schukar, schuker, shukar, etc. Furthermore, when spoken (until the recent rise of social media, Romanes was rarely written) a lot of syllables are often not prominently articulated, such as the -r in schukar;this often results in many Sinti hearing it as a new sound: schuka. It basically results in certain Sinti hearing things in a shortened form. Consider the word ferleidiges (troublesome/annoying/boring)or the verb kero (I make, I do).In France, for example, many Sinti will, instead, say fleidiges and kro. It brings back memories of my brothers and I mispronouncing Taiwanese words because our parents spoke so fast; it was not until later on that I realized that I was skipping certain syllables! For your information, I have personally devised my own spelling system based on German phonetics (and a bit of French, when it suits me) which I mainly use throughout this article, unless otherwise noted. It is strictly my own, and should not be considered authoritative in any way! Ma bisté ga, i toute douille tchavé! tou al ima mato! ma bistega, itoute douille tchavé, toual ima mato! Ma bister gar, hi tut duï tschawe! tu hal immer mato! In Eastern European Romanes (non-Sinti), there is an expression, taves baxtalo, that roughly translates to good luck. A quick google search will yield many results (though you may have to try a few other spellings such as taves bachtalo or tawes bachtalo). Since my knowledge of non-Sinti Romanes is extremely limited, I am not sure about the grammatical aspect of this expression, but in Sinti Romanes, the equivalent is te wes bachtalo; it is the subjunctive form, and the closest literal translation would be may luck/joy come to you. Another point of interest is that in Romanes there is a sound that is between k and g; d and t; and p and b. The German Sinti may write: Me gamau gau latscho dszipen (I want this good life),whereasthe French Sinti may write: Me kamo ko latcho djiben. Countless variations may exist. German Romanes sometimes tends to have an ao (au under my spelling system) sound as well, whereas the French use an -o sound: gau bersch vs ko bersch (this year). Of course, these sounds are not exclusive to one country. One can encounter all kinds of sounds in any given country, it all depends on the individual. One final example would be the word ketene (together); I have encountered so many variations such as ketenes, ketane, tekenes, etc. Indeed when doing research on Romanes, one has to try as many spellings as one can think of, to maximize results. In some instances, the word is completely transformed: ketene vs tekenes. I have seen the word zenelo (green) become zeleno as well! The thing to remember, is that anything is possible! I sometimes even wonder if the Sinti are influenced by their host country’s language’s sounds, which would explain the tendency to gravitates towards a g sound in Germany, and a k sound in France. In the word mange (for me), the g is not heavily articulated among most German Sinti, but for some French Sinti, the g is much more pronounced (under the French spelling system, it would be mangué). I remember a Flemish Sinto correcting me when I pronounced it the French way (where I first heard it), and he insisted that it should be pronounced the German Sinti way. There are also two aspects of Romanes that are critical to unlocking the secrets behind the language: conjugation and grammatical cases. As far as conjugation is concerned, there are a number of systems that are used, depending on the region and/or family. Some conjugation systems are more ambiguous than others and require one to pay close to attention to the context to determine the exact meaning. There is a famous Gypsy song that can either be called Me Ham Mato (I am drunk) or Me Hum Mato. Hum and ham are distinctly different, with the latter being much more ambiguous, because its meaning can change depending on the context. Romanes also uses grammatical cases like in German, and many other languages, such as Sanskrit. Cases are very important in determining the exact meaning of a sentence. However, the use of cases can sometimes be arbitrary for the Sinti, which results in even more ambiguity and linguistic variation. Grammatical cases are typically used for certain common expressions / words, and in other instances, they are not used at all; it truly depends on the individual. When a case is used, it transforms target words into new ones. An example of the use of a case is French Sinto Samson Schmitt’s debut album Djieske; the album title is a combination of two words: the nominative form (original form) dji (heart)and the case attribute leske (for him/it). This results in a new meaning: for the heart. In my early days of learning Romanes, I once asked a French Sinto what Djieske meant. He did not know; it appears, he was not familiar of using the case transformation system as far as the word dji was concerned. I know it was not an issue of him not trusting me, as he otherwise taught me quite a lot! A way to express the same thing, by avoiding grammatical cases, is to use the nominative (standard) case: vor o dszi (note that I reverted to my personal spelling system), which is literally for the heart. There have been many attempts to translate Gypsy songs; many are full of mistakes, usually because the author is not familiar with what I mentioned above. As of July 2014, I might have come across just about every single translation attempt that is publicly available; very few of them are 100% accurate, such as the translations that Titi Winterstein gave away to some of his songs (which was met with great criticism from the German Sinti community). Some come quite close but have certain grammatical inconsistencies. Conjugation and grammatical cases make all the difference in Romanes! I also mentioned that Sinti Romanes borrows a lot from German. In fact, Romanes essentially started as some form of dialect from India (perhaps related to Sanskrit), and, as Gypsies traveled westward towards Europe, they borrowed words from various host countries. It is therefore very difficult to classify the language, and to determine which words are"originally" Gypsy words and which words are borrowed, considering that the vast majority of words are borrowed anyway! The numbers 7, 8, and 9 are efta, ochto, enja which are directly borrowed from Greek! In Sinti Romanes, the commonly used word for violin is gaïga which is from the German word geige. However, certain Sinti are also aware of another word used by the Roma, lawuta. As I hinted earlier on with the word manush, there are many ways to express the same thing. The German influence on Sinti Romanes is strong in all the countries where the Sinti live, be it France, Belgium, Holland, or Italy (or anywhere else). It is further complicated by the borrowed words in any of these other host countries. In France, many Sinti say plesira for pleasure (from the French plaisir). As far as many German Sinti are concerned, however, this word does not exist, and they would most likely not understand! By and large, when Sinti from different countries speak to each other, they generally understand each other. Occasionally, a few words might not be understood but the general meaning of the conversation is understood. Grammatically, sentence structures may also vary according to the influence of the host country. Every variation one can think of probably exists! This is the reason why I simply dare not say I am fluent in Romanes! The number of variations is simply overwhelming! It reminds me of the different pronunciation systems of the Taiwanese language as well. People in northern Taiwan pronounce words much differently than people in the south, yet we all understand each other. Likewise, I mentioned growing up with Quebecois French and French from France; as long as colloquialism is kept to a minimum, the Québécois and French generally understand each other. However, when both groups start to heavily use their native expressions and vocabulary, things can get quite tricky! One might then say that some Sinti are speaking Romanes wrong, the same way I was speaking Taiwanese wrong! But this is where things truly differ! Whereas I was definitely speaking wrong, the Sinti dialect of Romanes is intrinsically tied to their culture. It is a culture that espouses freedom. In traditional Sinti culture, they do not like any notion of categorization, or being bound by any kind of rules; this is the reason why Django often did not bother to respect contractual obligations. For him, a contract was no more than a piece of paper that carried no weight or consequences. As such, linguistically, whether, they are aware that they are changing the words or not, is of little importance; in their culture, no matter how drastic the transformation of the words, their Romanes will always remain authentic! The only thing that matters is that they understand each other. The more the variations, the more difficult it is for the non-Gypsy to decipher the language; therefore, all the better for them! By birth right alone, they have the right determine what is authentic or not! Of course, that is traditional Sinti culture in its purest form, and, therefore, simply a generalization! Do not assume that all are like that. I am sure (and I do know, for sure) that there are some who do not like too much language transformation, especially when there is too much borrowing from other languages. There are many Sinti who are in touch with their heritage but do not agree with the some of the conservative ways of their culture. The same can be said for any cultural group really! At any rate, it reminds me of my childhood, speaking Taiwanese to my parents, and using words from English or French when I did not know the Taiwanese word. Imagine the underlined words being the Taiwanese the language, and the word in bold being the borrowed word: I took the bus to go to school. For your information, I only learned the Taiwanese word for bus a year ago! Furthermore, for the longest time, I could barely count in Taiwanese, and I would often have to switch to another language to express numbers. It is the same with many Sinti; after number 20, many Sinti resort to their host language to express numbers. I have already mentioned that there are many words to express the same thing. There are also many words that have different meanings depending on the context. For instance, the word for both, tomorrow and yesterday is the same: taïsa. Certain families may have individual words to differentiate the two, but I am not familiar with them. Certain similar words also have different meanings depending on the pronunciation; in the example pale, wo pale khere (After, I go home), the first pale is not pronounced the same way as the second pale. While I could list many examples, I am afraid that this is as much as I am willing to reveal. In France, where many Sinti have forgotten how to speak Romanes, it is not uncommon to hear them mainly speaking French with a few Romanes words thrown in, much like my Taiwanese bus example, but the reverse: Je vais aller au foro acheter du maro(I am going to the city to buy some bread). Another complex issue is Sinti identification. The Sinti have a word for those who have adopted the Gypsy lifestyle, and perhaps even some of the language, but who are actually not Sinti, and perhaps not even Gypsy. The word is bareskro,or baringren in plural. Scholars define these people as being from the Yenish tribe who are apparently not ethnically related to the Roma. Many of these baringren may borrow a lot of words from Sinti Romanes which can certainly confuse a lot of people. One of the most famous Gypsy Jazz players in the world is considered by many Sinti to be a bareskro! No, I will not publicly reveal who this person is. This begs the question, what makes one a real Gypsy ? Considering that many have certainly married outside their ethnicity, which is often further evidenced by their physical attributes (non-dark eyes, pale skin, blonde hair, etc. ), who is to say, who is a real Gypsy, and who isn’t? There is no hard rule to which the Sinti adhere, in order to determine whether one is a true Sinto or not; it really seems quite arbitrary. Indeed, yet another layer of complexity! Is it the lineage? Do both parents have to be Sinti? Many Sinti come from mixed lineages! If one is born of a French mother and a Gypsy father, that certainly makes one ethnically half Gypsy and half French, but then if this person marries another "full-blooded" Gypsy, and produces an offspring, does that make the baby a full Gypsy? Is it the language that determines whether one is Gypsy or not? Certain Sinti definitely seem to believe so, but would that not make many French Sinti, non-Gypsies? Indeed, a very complex issue and I will say no more! While I have already spoken about traditional Sinti culture, to further complicate things, the Sinti from different host countries each have their own mentality and sub-culture; the French, German, Dutch, Italian Sinti are all distinctly different in culture and mentality. Just think of the USA, west coast vs east coast, north vs south, etc. Of course, keep in mind, that we are generalizing here; while traces of a cultural trait may exist, every individual is unique, just like in any culture. For Gypsies, political issues involving human rights and persecution still exist today, perhaps in one country, but not so (or less) so in another. This is sometimes reflected in how Sinti interact with outsiders in their host countries. This again is another big topic with which I am not as familiar, and that is deserving of its own article. Finally, I will now talk about the name, Django. This is essentially the whole reason I started to really investigate Romanes. As I mentioned earlier on, though not the first to do so, Michael Dregni popularized the notion that Django meant I awake. 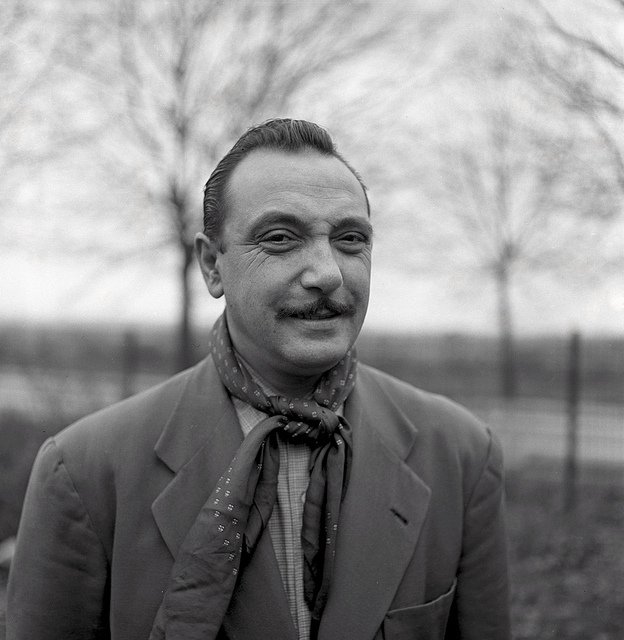 As of July 2014, it is referenced on the wikipedia page about Django Reinhardt. An article on the the New York Times has referenced it, and I imagine many other articles. Dregni’s biography of Django is the go-to book for many English speakers. My investigations revealed to me that French scholar Patrick Williams might be the first to claim that Django meant I awake. I have never been in contact with either Mr. Dregni or Mr. Williams. What I am about to write is not an attack against them! Far from it, I owe them my deepest gratitude in getting me to pursue knowledge! But unfortunately, what I will write will certainly put their bold statements into question. From a scholarly point of view, it is the right thing to do, is it not? I hope that they take no offense to this! I am simply the kind of person who questions everything and likes to do my own research. I encourage you readers to do your own investigation as well, and to question my statements. I welcome any feedback! Let’s start with the easy part first; yes, django does mean I awake. However, it depends on how you pronounce it. The English pronunciation of Django is close to the Romanes word (though still not quite). In French, however, the name Django is pronounced differently. More importantly, Django pronounces his name the French way; listen to him distinctly call out his own name in a recording titled Festival Swing 41 (Paris 25/12/1940). This is very important, because many Sinti, when pronouncing words in Romanes, often use the Romanes pronunciation. Not all, of course, but it is quite common. For example, the word Manush, I personally have never heard a Sinto pronounce it any another way than the Romanes way. 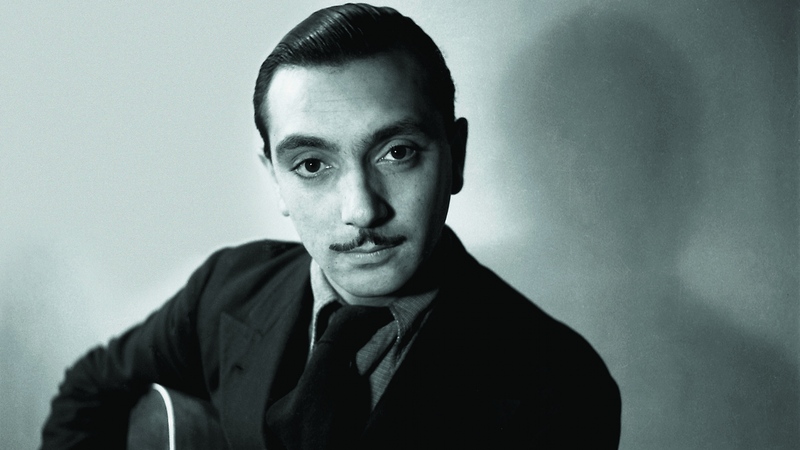 So it begs the question, if Django Reinhardt’s actual name is derived from the Romani word for I awake, why does he distinctly pronounce his own name the French way? I have personally never heard a Sinto pronounce Django’s name in the Romanes way for I awake. This, of course, is not proof enough. From a traditional cultural point of view, the Sinti do not care too much how their name is written, as long as it works phonetically and it is understood. The rhythm guitar player for the Rosenberg Trio has had his name spelt Nous’che and Noesje (Dutch spelling rules). According to Djangophile Roger Baxter, in Django’s early recordings, his named was spelled Jiango or Jeangot! Who was the first to suggest the now standardized spelling? Furthermore, as I mentioned earlier on, there is no official spelling system in Romanes, as far as the Sinti are concerned. I awake can be written as dzango, dszango, dszanego, dzhango, zhango, and any combination one can think of! Since different pronunciations for the same word can also exist, who knows how Django and his family pronounced the Romanes word for I awake? The most important clue of all is modern conjugation. As I mentioned before, there are many variations to Romanes. Nowadays, many Sinti speak a shortened version of the language. Indeed, in the past, the full conjugation form for I awake would have been dszangewo or dszangewau, or a similar variation. This system of conjugation is used in some of French/Belgian musician Bamboula Ferret’s compositions (published by Spocus records under Roots of Gypsy Swing/ Volume 1 – Bamboula Ferret & Fapy Lafertin: O Welto Risela); many Sinti call this old Romanes. In my research, I have discovered an old German document from 1844 titled Die Zigeuner in Europe und Asien (The Gypsies in Europe and Asia), in which the author, August Friedrich Pott, uses the word dzangewawa for I awake. In the same book, he gives another example me sschom dschangalo : ich bin wachend (I am awake). In this second example dschangalo is an adjective. Based on my experience, it is is still widely used today to signify being awake: me hum dszangelo (I am awake). Patrick Williams has mentioned that the third person singular conjugation of the verb (he wakes) is also a common Gypsy name, Djangela. Indeed, i am aware of at least one Sinto with that name, a Dutch violinist that leads the group Tata Mirando, Djangela Mirando Weiss. Oddly enough, he personally signs his name, Sjangela Weiss; perhaps another possible pronunciation in which the dj is not so pronounced? This is quite possible, as it reminds me of the Romanes word for heart, dszi (or dji if you prefer); many German Sinti omit the dj sound and simply pronounce it zi, like an American would pronounce the letter z. Essentially, we have two different books written 50 years apart that use the same form of conjugation. The shortened form does not appear in either of those books (unless I missed something). I have a theory that in past times, when the Sinti were less spread out, the language was more consistent and words, more syllabic than they are today. As they spread out, and contact was more sparse between the various families, the language began to slowly evolve in different ways. How long ago, did this start to happen, I don’t know, and, of course, this is just a theory. When did the shortened form of conjugation (which resulted in the modern dszango) begin to occur? In recordings from the early 70s, of German/Polish Sinto Schnuckenack Reinhardt, where he sings in Romanes, this shortened form definitely occurred. Beyond that, I do not have any earlier documents or recordings where the shortened form occurred. If anyone out there has anything, I’d love to hear from you. Otherwise, that basically leaves a 70 year undocumented gap where anything could have happened! Also note that in Romanes, there is no infinitive form, the verb is always conjugated. When using infinitive equivalents, the verb still takes on a conjugated form: hunti rap tschomoni (I have to eat something) or hunti ras tschomoni (you have to eat something). Django, personne ne sait l’origine de son nom? Faux. Il est né dans le borinage en wallonie où le prénom Django ou Djangou était répandu à l’époque. Il s’agit d’un diminutif de Djan (Jean) en wallon. Voilà l’origine de son prénom que je connaissais déjà quand j’avais 18 ans (j’en ai à ce jour 60). L’auteur de votre article ne devait pas être très bien informer Doit-on douter du reste de l’article? Basically, Mr. Fagard claims that Django or Djangou was a common name in Wallonia where Django was born! It is derived from the name Jean which was Django’s civic name. In Sinti culture, it is common for Gypsies to have both, a Gypsy name, and a civic name. There are a few reasons for this, but it is beyond the scope of this article – I have made enough deviations as it is! Gengoux, Gengou, w. nam. Djangou, Geangoux, Gingoux, Gego, Gego, […] nom issu de l’anthrop. germ. gang-wulf dont la ferme en w. lieg est Djego, egalement connu par saint Gengoul, saint bourguignon du 8e s. cf. aussi Gangolf et Gogot. This book seems to corroborate Mr. Fagard statement, although the origins of the name are different; or, perhaps in recent times, Djangou has become the Wallonian equivalent of Jean. I have met a few other Sinti who also have the name Django; all claim that their name is in honor of Django Reinhardt. As a side note, Alain Antonietto, one of the world’s leading experts on Sinti culture and Gypsy Jazz, has stated that French Gypsy guitarist Moreno Winterstein once suggested that the name Django came from the adjective dszungelo, which means mean/bad/naughty. Django was known to have at least three siblings, Joseph Nin-Nin Reinhardt, Sara Tsanga Reinhardt, and a certain Carmen Reinhardt, of whom I know nothing. As far as I know, Nin-Nin is simply a nickname; Tsanga, on the other hand, is from the German word, Zange which means pliers. Alain Antoniette, a close friend of the Reinhardt family, has mentioned that she was given this name because she would often pinch her brothers when they argued. This would, therefore, imply that her Gypsy name was not given to her at birth. This in itself does not help solve the mystery behind Django’s name, but one wonders why Django would be given such a poetic name (assuming that it does come from I awake)and not his siblings. Furthermore, was he given this name at birth? Again, it is definitely not a strong argument that I would use, but for the sake of completion, I felt it would be nice to at least reveal the story behind his siblings’ names. Similarly, Dutch Gypsy guitarist Stochelo Rosenberg has claimed on numerous occasions that his name had no particular meaning. Other Sinti have suggested that it comes from the Gypsy word for stork. In German, the word is Storch; since Romanes borrows heavily from German, its Romani equivalent would be along the lines of Stocho or Storo. There is a Sinto named Storo Limberger as well. The word storo in Romanes can mean cabbage. Could one then say that Stochelo comes from the Romani word for cabbage? So in the end, yes there is a word for I awake that is indeed Django (keeping in mind that proper pronunciation is important) but does Django Reinhardt’s name really come from this word? Based on my research, the answer is inconclusive! The only one who probably really knew this was Django himself and his immediate family,. Though, not necessarily his descendants, who might be influenced by modern Romanes and/or, who would only be too happy to associate their ancestor’s name with such a poetic provenance. Unless, the story of its provenance was passed down within the family, we might never know. Charles Delaunay, Django’s first biographer, was a close friend of his, but he never mentioned the origins of his name. Did Django never share that with him? Who knows. With the information that you now have, it is up to you to decide! The idea is certainly very poetic, but is it really the truth? Posted by Denis Chang on August 28, 2014 at 8:40 am in Uncategorized.